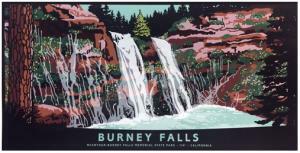 Pre-purchasing prior to the release date reserves your print. It will be available for pick up or shipping in late May, 2017. 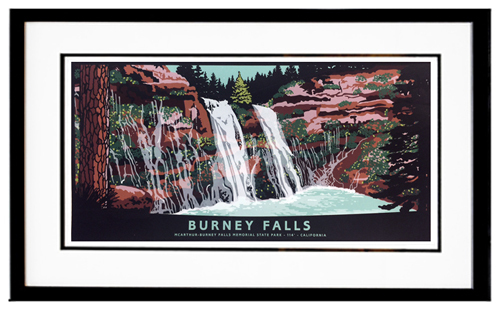 Our "Basic" frame package for Burney Falls, as shown above, includes: acid-free foam core backing, archival double mat (Warm White top mat and Raven Black bottom mat; 2 3/4" overall viewable width, 1/4" reveal on bottom mat), standard plexiglass, and a 1" smooth black, gesso coated wood frame. For other framing options, contact us.